We ensure all our clients receive the best information and advice, this allows you to enjoy your motorhome hire experience to the fullest. “An unforgettable experience to discover Scotland! The contact with the owners from the moment of taking information and during our stay, was perfect. They are very available and as soon as we arrived in their courtyard, we were very well received (and above all, there are no surprises!). Karen took the time to explain everything to us, she had the patience to rephrase for our sometimes rough English. And the 12 days spent with Mollie were fabulous. Nothing is missing for wild camping! Everything is provided (sheets, towels, dishes, tour guides, flashlight, electrical outlets, GPS … for 6 people). “We have just returned from a fantastic trip around Scotland. I have always wanted to do this. I cannot speak highly enough about the company LMH. The owners are friendly, understanding and very professional indeed. The sun even shone on us in Scotland, I am not sure who to thank for that. A motor home is the ideal way to tour a country that is large but has a low, widely spread, population. None of the roads was congested, the scenery was sublime and no midges, none! “Having travelled all over the world we always had a trip round our native Scotland in a campervan on the bucket list. We found LMH online and from the first minute weren’t disappointed. They replied very quickly to our online enquiry, happily met us out of hours to show us the variety of vans and provided so much information when we visited to book. The van itself was a dream – we had ‘Anna’ the largest van and it was fantastic. Fully equipped and in excellent condition. The day we picked it up we were given a very informative handover that gave us great confidence. We spent 2 wonderful weeks touring the west coast of Scotland and I can honestly say we had the best holiday we have ever had and that was massively down to the team at LMH and their fantastic campervan. “Iain & Karen, Thank you so much for a fabulous week in Belle, you supplied us with everything we could have wanted. 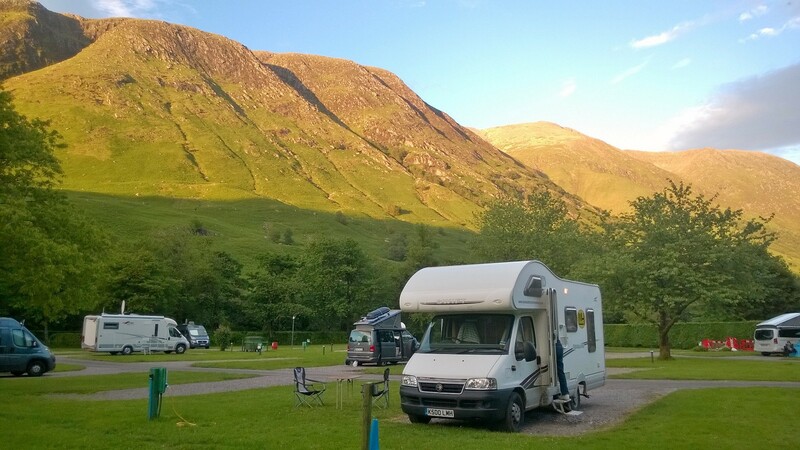 We spent a glorious week on NC 500 and we wouldn’t hesitate to book with you again. “Just a wee note to say thanks for the use of your camper van Mollie. We toured around the North Coast 500 over a 7 day period and loved it. I know this was Mollies last let as she is making way for a new model but she never missed a beat even in some of the most torrential rain and crazy winds we have ever seen…….. Spectacular. Everything you provided in the van worked well and it was warm and comfortable. The walk around explanation of everything before we left and the information sheets were great as we felt reassured we could handle anything even although this was our first time in a Motorhome. I will be recommending your company as the service you offer is great value and exceptionally welcoming. “Many thanks for a pleasant experience hiring Phoebe, a shame it was her last trip out. Impressed with everything and the personal friendly service and no hidden extras too, bargain. Immaculately prepared camper was very welcome and the little welcome pack too. 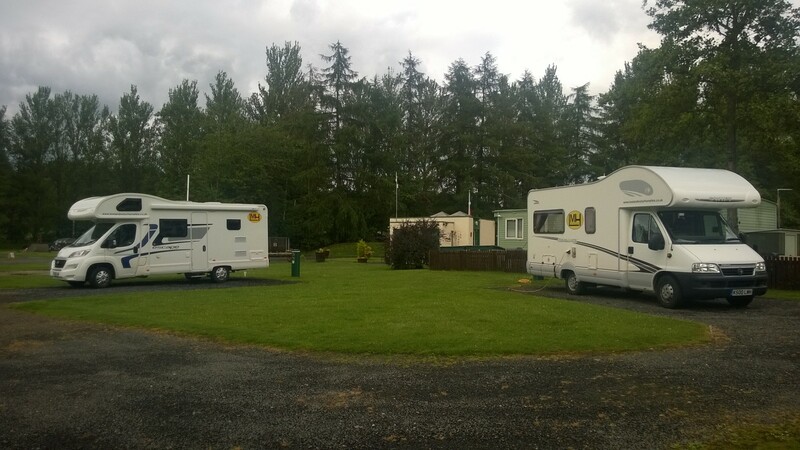 “From the initial email enquiry, to being invited out to look at the motorhomes and the familiarisation with everything on the day we started our holiday, we were delighted with the service we received at Lowland Motorhomes. The vehicle we hired was spotless and clearly well looked after. We also really liked the fact that everything was included in the price – no silly add-on costs for things like bedding and cutlery! Die Wohnwägen von Lowland Mototorhome Hire sind perfekt ausgestattet für jede Jahreszeit, machen jede Straßenbedingung mit und haben alles dabei, was man für einen stressefreien Urlaub braucht. Durch die reichliche Ausstattung der Wohnwägen ist es einem auch jederzeit möglich in der wunderschönen Landschaft (zum Beispiel der Äußeren Hebriden) einfach mal den Motor abzustellen und sich an Ort und Stelle wohl zu fühlen. Die Vermieter selbst sind super nett, kulant und stehen einem zur Hilfe wenn und wann immer man sie braucht. Genau aus diesen Gründen war jeder unserer Urlaube mit LMH bisher nicht nur wunderschön sondern auch unvergesslich und deshalb werden wir sicher auch wieder kommen. “Me and my wife Manuela were thinking to rent a motorhome since a while. We read a lot about it but we didn’t have any experience at all. Iain and Karen were really nice since our first contact. They were fine to let us bring our dog in the trip while many others were not happy at all about that. It was a very enjoyable experience, we received all the necessary informations, they’ve been ready to answer to our questions at any hour. If I’d change something different I would maybe put a bit more of water at start (we almost ran out in quite a short time) but we highly recommend them. “We hired a couples sized motor home in September. 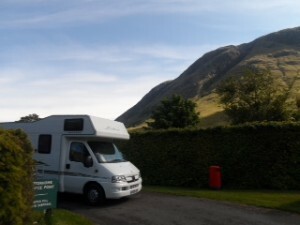 Considering this was our first experience of a motorhome holiday…….. Ian and Karen could not have been more helpful in explaining the hire and what was included. Ian spent as much time as we needed to go over how to set up the motorhome for travel and what to do in what order when pitching. Everything we would need to get us going was included, we just had to fill it with diesel, buy food and go explore. 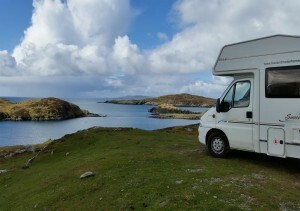 We had the motorhome for a week and travelled to the Western Isles. Great weather, great scenery, great motorhome. All of the information leaflets and map included in the hire and handy tips from Ian (info pack in the motorhome) were really handy. “We hired a motor home for a weekend break. The service we received was friendly and efficient. The motorhome was immaculate and exceptionally well equipped with everything we could possibly have needed . Will certainly use again and highly recommend to friends and family. 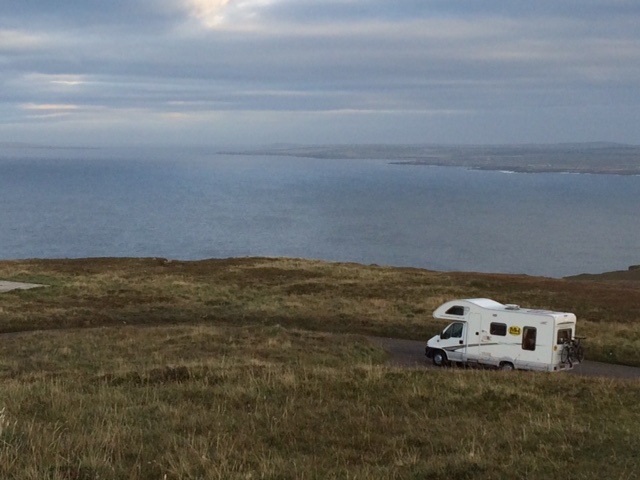 “We could not be happier with the service and the motorhome that was provided for our North Coast 500 trip. We have already recommended friends to use your company. 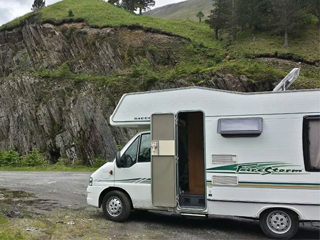 “We hired a motor home from Lowland Motorhome Hire in June this year to tour the North of Scotland. This was to be our first holiday in a motor home and we were somewhat unsure of what may lurk ahead. 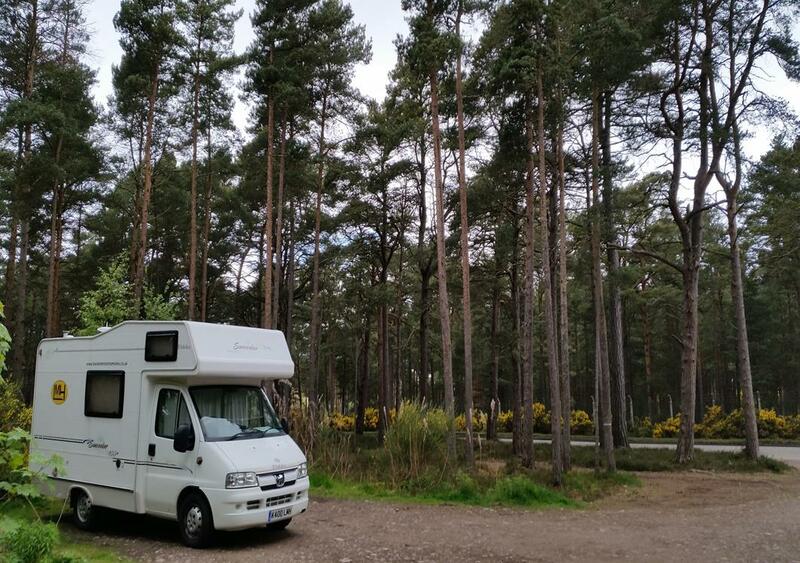 When we visited their premises following our initial enquiry, Iain and Karen’s own experience and obvious enthusiasm for motorhome holidays quickly put us at ease, so we booked straight away. On the day of pickup we were provided with a full demo of the motorhome which seemed to be equipped with everything we could possibly need. The demo covered absolutely everything although the one thing that wasn’t mentioned is the rule of the road, you must wave to oncoming motorhomes! 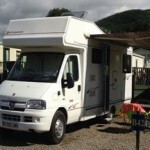 “Just a quick thank you to Iain and Karen for the help in introducing us to motor homes. “Thank you so much for letting us hire Mollie for 2 weeks she was a pleasure to drive (and wasnt greedy on the fuel) and great fun to stay in for our mini tour of England. We would definitely recommend any family looking to book a van for any length of time, we loved all the wee extras you supplied, tea coffee, sugar and even every flavour of jam. We wouldn’t hesitate to book again with Karen and Iain. “It was our first experience of Mobile Home holidays but wont be our last, we had a great time doing the north coast of Scotland. From picking up the van to drop off there were no problems, everything worked as it should and it was good to know Iain was only a phone call away if needed, very reassuring for first timers! “Some pictures from Scone where we meet up with another LMH family! 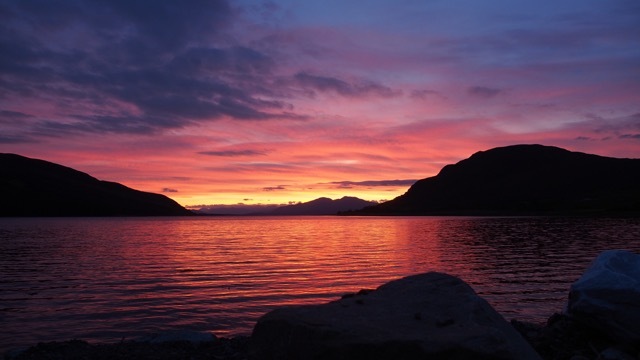 And at Glen Nevis where we had a spectacular and relaxing sunset dinner of langoustines (better than regular prawns) that are typically messy inside but no worries outside…clean up not required. 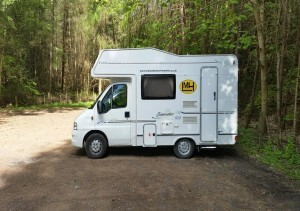 “Von der ersten Anfrage an hatten wir das Gefühl, bei Lowland Motorhomes an der richtigen Adresse für unseren ersten Schottlandurlaub zu sein. Die Antworten auf unsere Fragen kamen immer noch am gleichen Tag, oft sogar innerhalb der nächsten Stunde. Die Abholung am Flughafen hat perfekt funktioniert. Das Wohnmobil entsprach exakt dem in der Anzeige abgebildeten Foto und allen Beschreibungen. Es gab eine umfassende Einführung in alle Geräte des Wohnmobils. Und da es schon spät am Abend war, ist uns Iain sogar mit seinem Auto den Weg zum nächsten Campingplatz vorausgefahren und hat uns bis dorthin begleitet. Die Ausstattung war sehr gut, alles da was man braucht und alles hat funktioniert! Frisch duftende Bettwäsche, warme Bettdecken und kuschelige Handtücher! 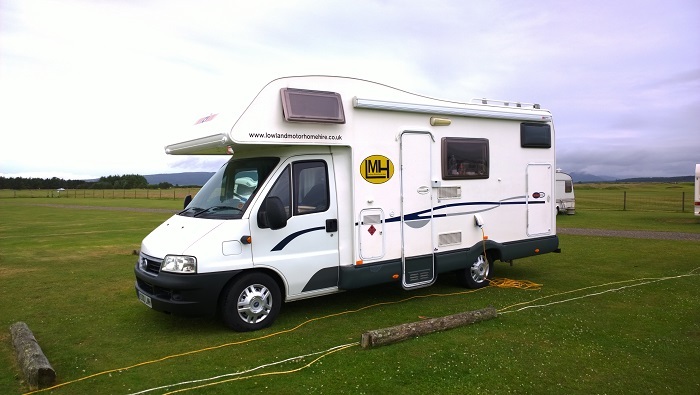 ”We had a fantastic ‘first time’ Motorhome experience with Lowland Motorhome Hire. We hired Anna in the Prestige range and she was a delight. The Motorhome was immaculate and well stocked… no hidden extras….Iain talked us through all the information before we drove away and this stood us in good stead for the weekend ahead. It is clear that both Karen and Iain care not only about their Motorhomes but the customer too. “Nachdem wir jetzt mittlerweile schon vier mal Schottland mit einem Wohnwagen von LMH bereist haben, können wir eines mit Gewissheit sagen: Die Wohnwägen von Lowland Mototorhome Hire sind perfekt ausgestattet für jede Jahreszeit, machen jede Straßenbedingung mit und haben alles dabei, was man für einen stressefreien Urlaub braucht. “We were delighted with both out motorhome and the attentive service we received from Iain and Karen at Lowland Motorhome Hire. The quality and comfort of our 4 berth Fiat Sundance (we were only two people) was excellent and the on-call help from Iain, such as when our fridge lock broke with our food trapped inside, was very reassuring. As a small company the service is personal, considerate and good value. “Thank you for all your help when planning and taking our holiday. Because of the limited time that we had, we were so grateful that you were able to help us by letting us pick up the motor home out of normal hours. It was great that everything was provided (just like in a B & B), and we didn’t have to supply any bed linen or towels. I didn’t believe that the handover would take as long as you said but not one minute of it was wasted time as we left fully aware of all the bits and pieces of the vehicle and also any problems that we could possibly encounter. Finally, thank you for your help when we hit power supply problems, especially as it was in the evening, and also because the problem as you predicted was a site problem rather than a vehicle one. “We hired a motor home from Lowland Motorhome Hire in October to visit Skye. 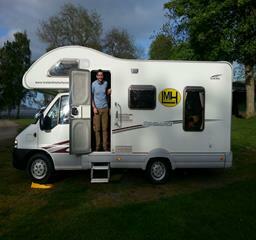 Although we were sceptical about hiring Motorhome (never done a Motorhome trip before), we decided to do it. As the search for the best deal for motorhome hire began, I called up Iain and Karen and was surprised to find that they were slightly more expensive than other companies. Usually, I would move on and go and find another deal somewhere else. But as I realised that both Iain and Karen are extreme motorhome enthusiasts and have setup this business to support and show their love for Motorhoming, I felt I should consider their quote too. 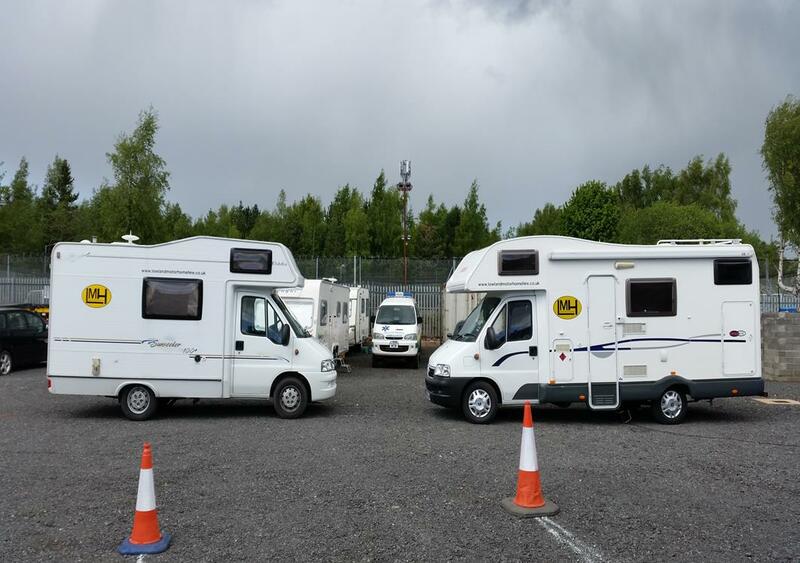 Now although they were more expensive than others, it was very clear that on offer was exceptionally high standard of customer service and a great quality, well maintained, well equipped, fully managed Motorhome! Ah it was amazing. To top this up, Iain and Karen are happy to offer their mobile numbers for any customer to call regardless of time, in case they need assistance. 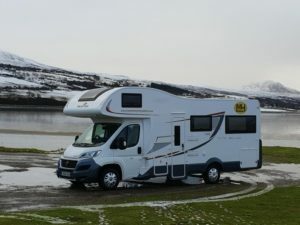 “The prices they ask for is a great value for money and the Motorhome itself is immaculate and comes loaded with items essential for a road trip. “I just wanted to write and thank you so much for making our first (and definitely not our last) motorhome holiday to Islay in October such a success. We were really impressed with the motorhome, which was spotless and equipped with everything we needed. Having bedding and towels included was a definite plus. Your customer service was excellent – so friendly and efficient. We would certainly recommend you to anyone. Nothing was too much trouble even meeting us at the airport and getting us a taxi to the motorhomes door. Everything is explained simply,so there is no trouble in understanding how the motorhome works. Everything you need is supplied – just turn up and drive away! We chose this time to head towards Skye and the motorhome was great to drive, no problems at all. And with membership to the Caravan and Camping Club included in the hire, finding somewhere to park up for the night is simple! “Hi lain, it’s just a few months ago we hired ‘beastie’ (affectionally named by my daughters)for our tour to skye and the trossachs national park. We have some great pics and memories of this wonderful area, I would highly recommend lain and Lowland Motorhome Hire to anybody wishing to tour scotland and as first time motor home users, Iain was able to explain everything so that we could have a trouble free holiday. 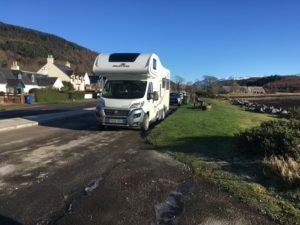 “Just a brief note to thank you for all your help with our very enjoyable motor home trip to Oban and the surrounding areas. The motor home we hired was 1st class and bettered only by the friendly helpful service you provided for us. The vehicle we hired was spotless and clearly well looked after. We also really liked the fact that everything was included in the price – no silly add-on costs for things like bedding and cutlery! 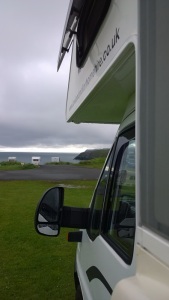 “The vehicle was really well kitted out and we had a great holiday touring the North Coast 500. We are more than happy to give you a great review,you both were exceptionaly helpful,in all aspects of the hire, going over what would suit our needs best and going over everything we might need to know. “We hired a couples sized motor home in September 2015. 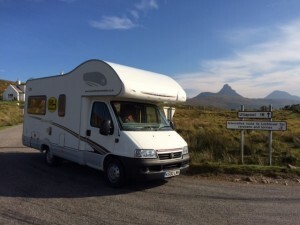 Considering this was our first experience of a motorhome holiday, Ian and Karen could not have been more helpful in explaining the hire and what was included. 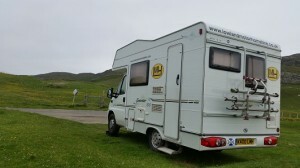 “We hired the motorhome from our country, Catalonia, and spent a week in the beautiful Scotland. The service we received was excellent from the beginning. Karen and Iain were absolutely helpful and kind. It was our first time “living” in a motorhome, with our two children, and for sure it won’t be the last. 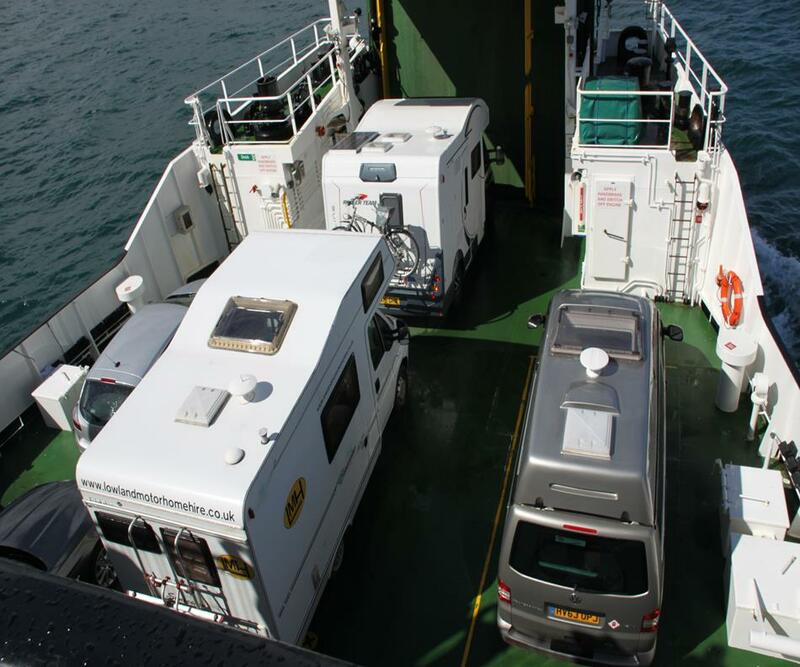 Our 6 berth motorhome was perfect for the 4 of us, providing wide space. It was clean, tidied and very comfortable. “We (four whisky enthusiasts from the Netherlands), have rented a mobile home from Iain and Karen, that we used to travel with to Islay and Arran. The service upon collecting the mobile home was great. Everything had been prepared in advance and Iain took plenty of time to explain everything in detail. The mobile home was, and is, the ideal method of travel for us. We could get everywhere, stay everywhere and there was no need to rush for anything. The inventory of the mobile home is complete and well taken care of. Upon return to Iain, a sleeping place was arranged for us on a camping near Iain’s house, even though it was already late in the evening. Definitely worth repeating. Excellent service and great people. “The service we received from Iain was great. He took time to show us around both campervans before we decided on the larger of the two. On the day of pick up, Iain was very patient in explaining how the various areas of the van worked. The van itself was packed with every possible convenience we could need for the trip including a sat nav, microwave and TV with DVD player. “Would just like to say we had a very enjoyable weekend touring in one of your motor homes. This was our first time hiring a motorhome and we will certainly be doing it again. The service we received from yourselves was excellent, communication from yourselves was excellent. The run through of how the motorhome worked was great, very thorough and I knew we would have no problems but if we did, you were at the end of the phone. “Als uns Anfang diesen Jahres unsere Freunde fragten, ob wir für unseren zweiten Urlaub in Schottland wieder bei dem gleichen Wohnmobil-Verleiher buchen würden, stand das für uns bereits außer Frage. Nach den durchweg positven Erlebnissen im letzten Jahr wollten wir LMH für den zweiten Trip nicht missen. Auch dieses Jahr waren wir wieder vollkommen zufrieden mit der Ausstattung (sämtliches nötiges Besteck, Bettwäsche, Handtücher, große Wassertanks, TV-/DVD-Player, Tisch und Stühle für draußen, etc. ), dem super Service (Abholung als wir uns verlaufen hatten 😉 , Durchführung von Telefonaten für uns, Flughafentransfer, etc.) und den super Konditionen (deutlich niedrigere Kautionen im Vergleich zu den meisten anderen Verleihern, Tagesgenaue Abrechnung, Möglichkeit auf alle Inseln zu fahren, freie Meilen, etc.). Karin, Stefan and Annina, Switzerland. “Thank you so much for everything. You were so friendly and Kind, and the whole Organisation was fix and unkomplicated. “Thank you for letting us hire one of your wonderful motorhomes, we could tell from the moment we picked it up hiring out your motorhomes is more of a passion then a job. The motorhome was spotless, looked and ran as good as new. “I had a great weekend in your motorhome – despite the weather, which was atrocious!! The motorhome was clean and tidy when we collected it and you did a very thorough job of briefing us about the motorhome. I was impressed at how determined you and Karen were that we would have a good time and that we knew what we were doing. You also made a point of assuring us that we could call you at any time for any reason! 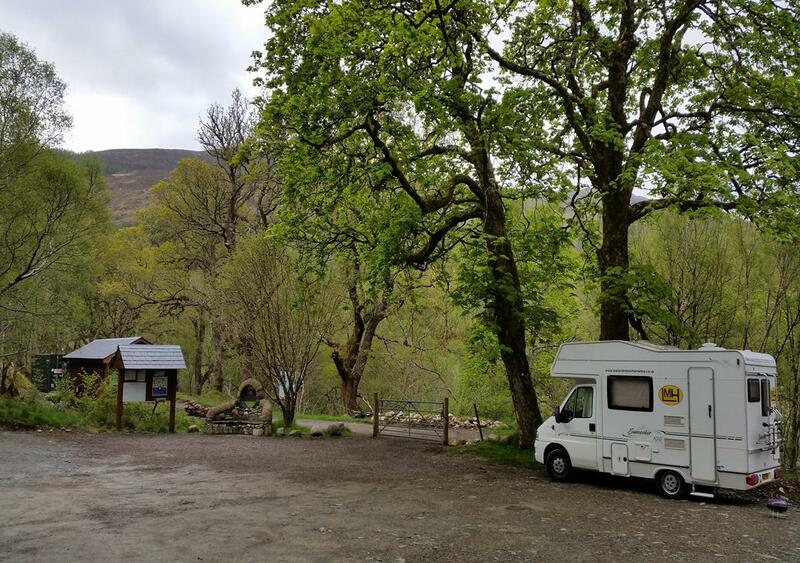 “As a first-time hirer, I really appreciated the detailed tutorial Iain gave me before I set off, and that I could phone with any queries while away in the van. The encouraging positivity about a first motorhome adventure was reassuring! The van was spotless and had pretty much everything I needed – I particularly appreciated the efficient heating as the weather was pretty dire at times. While researching van hire, I discovered some agencies are just that – they don’t actually own the vans. With Iain and Karen I was able to go along to the yard and look at the vans earlier in the year, and see whether this was for me, and which one was most suitable. Very efficient service, financial aspects all straightforward with no hidden charges. 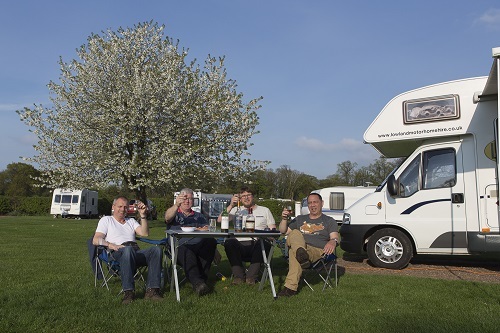 I would recommend Lowland Motorhome Hire to friends – in fact have already done so. “Right from the first enquiry we were impressed by your prompt answers and your offer to help. We really enjoyed our trip through Scotland and the spacious and comfortable motorhome. Thanks to both of You! whenever we will come back and hire a motorhome again,it will be one of yours. We highly recommend you to anyone! Karen und Iain auf jeden Fall empfehlen. 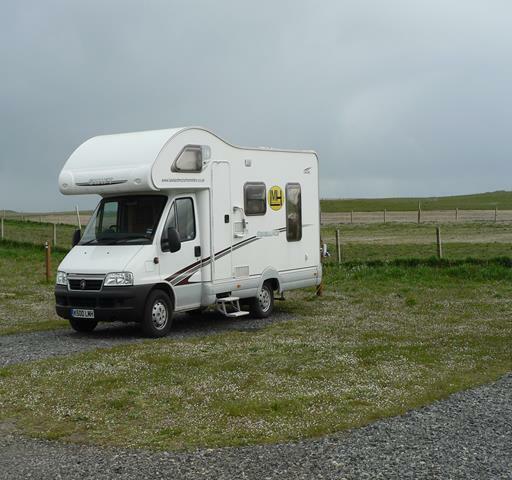 “We were very impressed with the service that you provide and the quality of the motorhome. Communication was excellent and we were kept well informed at all times, if only everyone was as helpful and friendly as yourselves. This was the first time that we had ever hired a motorohome and would strongly recommend you to anyone thinking of doing the same. We will definitely come back to you again when we next venture North of the border. “The family and I thoroughly enjoyed our weekend away in Scotland with Dora. The hire is made so easy by Iain and the terms are straight forward and very affordable. “Thanks to Ian and Karen from a Lowland Motorhome hire for such a splendid break. After touring the U.S. as a teenager in a Motorhome, I was keen to give my children the same experience touring a little Scotland. The Motorhome was easy to drive and fully equipped for our needs. The customer support was excellent and we would love to hire it again for a longer period next year. “I just wanted to say many thanks for your kind and thoughtful service. Having never been on a motorhome before you ensured that we had everything (and more) that we needed. The vehicle was easy to drive and the rear view camera made life much easier when it came to parking. We drove the motorhome for over 600 miles up the west coast of Scotland on single track roads and we never had a problem. My two young kids where more than happy sitting in the back watching DVDs or playing at the table. Would I recommend LMH? Yes they have thought of everything that you could possibly require to ensure a great holiday”. We had great holidays with LMH in Scotland. The motorhome was very good equipped so that we could also stay at beautiful places in the open countryside. The service of the owners was all the time friendly and helpful. All in all we could say LMH is highly recommended if you search for a nice motorhome and a relaxed atmosphere in your holidays’. ‘Thank you for your very helpful and friendly service and the well-maintained motorhome. This was our first time in a motorhome and everyone enjoyed it! It slept 5 of us comfortably and having the bedding and towels provided was very thoughtful. We would definitely use LMH again and recommend them to other people”. ‘We had a a great break with LMH. It was our first trip in a motorhome but Iain and Karen made it easy by explaining how everything worked and providing a handy reference guide. Everything was spotless and the beds were very comfy. Overall, we felt that the motorhome offered much better value than most hotels with loads more convenience. Hopefully we will be taking advantage of LMH’s service again. Highly recommended’. ‘My comments would be; very organised and professionally run company, although currently small. Iain was very helpful and was able to provide a motorhome at very short notice after a booking with another company fell through. He also allowed us to have a look at the vehicle after our evening meal and when we picked it up the following morning, gave a very thorough “tour” and instructions which were also provided in hard copy. We would definitely use this company again”. “Thanks again for a fab holiday. Hope to see you both again next year”. 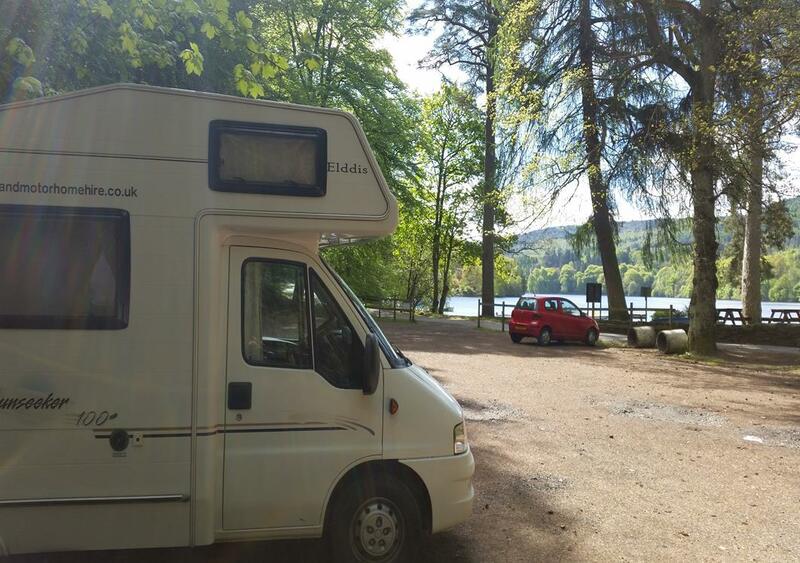 “We needed a motorhome at the last minute and Lowland were brilliant at making it available with no fuss. 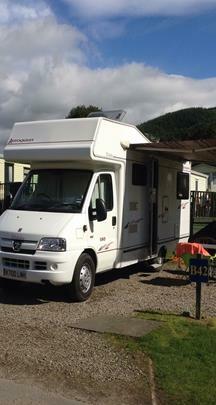 Really great motorhome which was immaculately clean. Very professional approach through the whole process and would highly recommend”. “I would just like to say what a fantastic service you provide. We loved the motorhome and the freedom it provided (we stayed in the wild the first night and then moved onto a caravan site). The kids loved the choice of beds ( top bunk, cubby hole or overhead bed). The motorhome was equipped with everything we needed and everything was in great condition. Thanks also for taking the time to show us how everything worked before we left (plus being amenable to our calls when we couldn’t remember how to work things!). We have already recommended you to people and would love to use your motorhomes again. “I was delighted to find an independent company in Edinburgh to hire a camper van from; I hoped for a more personal service. Personal yes, but also very professional. Thank you Iain for your thorough no-nonsense show round of the van. I was really impressed by how clean, comfortable and spacious it was, and happy that it had everything (plus more) that we needed for our 3 day hire. “First class service from start to finish.Karen and Iain are nice people to deal with especially with my endless list of questions beforehand. Our first trip out in a motor home and easy to drive and very comfortable . We had detailed written instructions along with a quick demonstration before we left. The motor home was fully kitted out even down to tomato sauce! Great price location and service. Will be back soon”. 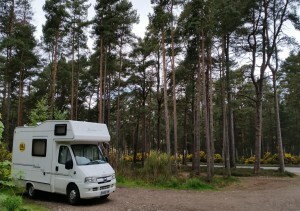 “Just returned from a wonderful 7 days touring Scotland in Motorhome hired from Lowland Motorhome Hire with my daughter and our 2 rescue greyhounds. Apart from the fabulous weather the other star of the week was the motorhome! It was immaculately cleaned and valeted throughout. When we picked it up Karen spent lots of time going over instructions and how things worked. She also gave me a full and thorough pack to take with me. The motorhome had everything we could need and more – it was lovely to have all the bedding and towels provided, extras were offered.Tea, coffee, sugar, milk and even the fridge was chilled down ready for us! We used the privilege membership provided to stay on Camping and Caravanning Club sites all week, which saved us some money. Karen and Iain’s professional and friendly service made us feel very valued – we will undoubtedly use LMH again, recommending them to all our friends. “The service you provided me was excellent – all email queries answered promptly and everything ready when I arrived to pick up the van. You were very thorough is showing me round the motorhome and I felt confident that I would have no problems with this new experience. On returning, again you were very efficient in getting the motorhome checked over and for me to be on my way. The Motorhome was exactly what was described and fulfilled all my needs. Although it has some years under its belt, the motorhome was in excellent condition with everything working well. I had no problem with using the Motorhome as all guidelines were very easy to understand. “Thanks for the use of your motorhome for our trip to Glastonbury. I was a little worried how it might handle on the road for such a long journey but it was far better than a lot of cars I’ve driven. As for the motorhome itself it was an absolute delight. There is nothing I could think of that you haven’t thought of yourselves. Oh yes I have, egg cups (sorry if they were there and we couldn’t find them). Wonderfully clean and tidy when we picked it up and the bed is more comfy than I would of imagined. All in all an excellent service right from the start, one we will certainly use again”. “We hired this motorhome in July 2012, our first time in one, and were not disappointed. From the very start of our meeting with Iain and Karen, everything was explained to us in very easy to understand terms. We even took our pet dog with us. The van was perfect for our needs, spacious and immaculate. We would certainly recommend this hire company and hope to use them again in the future”. “We hired the motorhome for two days in March to use at our wedding. It was really easy to make arrangements with Iain and Karen, and they took the time to go through the checklist of how everything works, and show us all the buttons and switches. It was as easy to drive as a normal van, and even though we hired it in March and the weather was cold, the gas fire makes it really comfortable inside. We wouldn’t hesitate to hire again from Iain and Karen, as they were helpful and friendly, and it was great value too”. “I wanted to thank you for the recent hire of your motorhome. Myself and my partner both felt the motorhome was excellent from start to finish , the hand over was very straight forward and explained exceptionally well. The motorhome was fully equipped with everything we needed even down to those little things you may forget (washing up liquid and loo rolls, sugar tea and milk ). The motorhome itself was immaculate inside and out, the guide book was also very well explained. The motorhome was also very comfortable whether you sleep in the two bunk or the made up the big bed at the rear. We travelled a total of 120 miles and the drive was exceptional and the fuel cost low indeed. It really was a pleasure to hire this motorhome and we look forward to booking again. We thank you for the great experience and your exceptional service shown to ourself”.